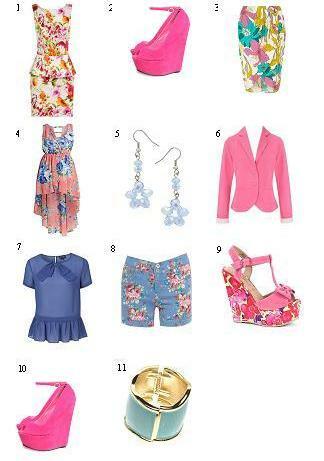 I love colourful clothing, so now that summer is finally here, it’s a good time to invest in bright floral clothes. Above are a selection of items from the web, which I think are great for this time of year. You may notice the pink wedges have been added twice – my mistake, but still they’re rather pretty aren’t they?